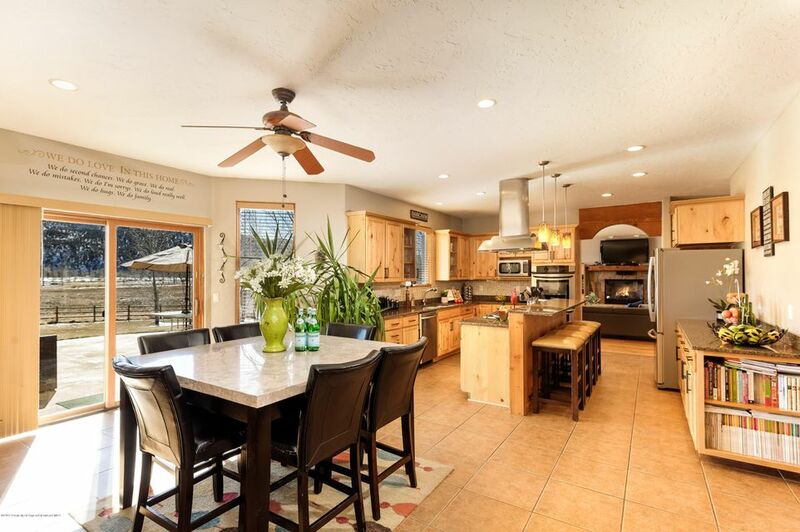 Cerise Ranch Carbondale Home for sale | Aspen Snowmass Real Estate :: McKinley Real Estate Sales, Inc. This 5,000+ square foot, 5 bedroom 3 bath home opens onto a large yard with expansive views. Envision the bonus room above the garage as a workout room, artist studio, or secluded office. Cerise Ranch amenities include a pool, private lake, and clubhouse. The midvalley location is close to the vibrant Willits development, with Whole Foods, restaurants, galleries and a new performing arts venue. The weather may not be perfect for skiing, but it is perfect for touring homes.